Explanation: Super Typhoon Winnie raged through parts of the Eastern Hemisphere last week. Swirling in the Pacific Ocean with winds in excess of 160 miler per hour, Winnie became one of the stronger storm systems in modern times: a Category 5 Hurricane. 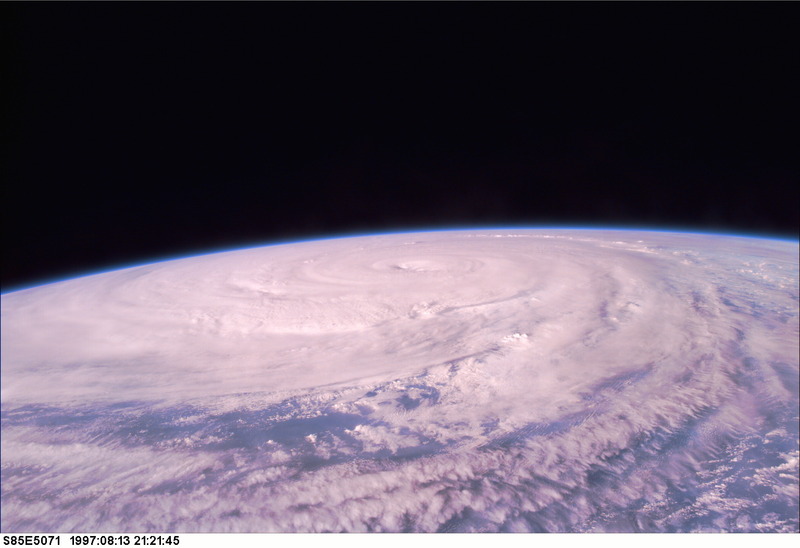 The above picture, taken August 13th by crew member of Space Shuttle Discovery, showed the extent of this huge storm: the central eye measured fully 8 miles in diameter. Last week, Winnie hit the Northern Mariana Islands at full strength, but then weakened before heading toward China. 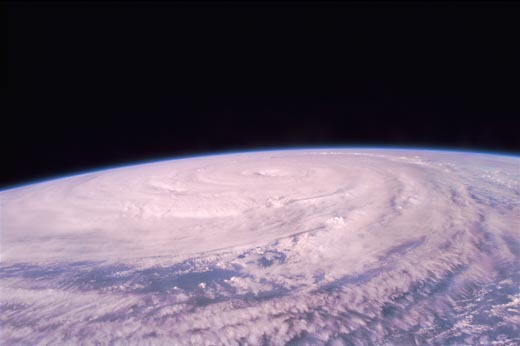 Studying large storms systems on other planets give insight into the workings of Earth bound storms like Winnie.